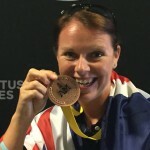 The Invictus Games Foundation joined the cycling competition at the Royal Botanic Gardens on Sunday. 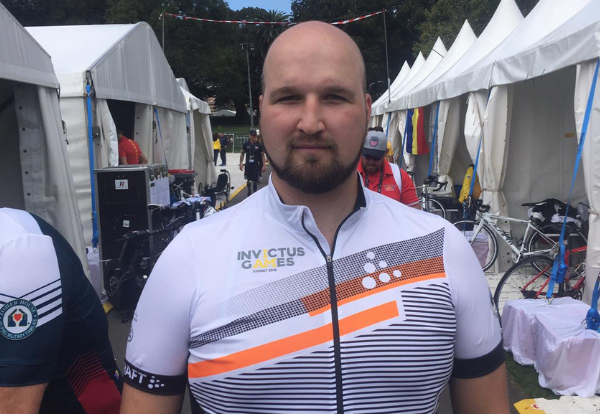 As competitors, family members, and supporters milled around the track, we caught up with one of Team Estonia for the Invictus Games Sydney 2018. Margus Hoop is a big Estonian, and looks tough. It’s a little intimidating, and as I gingerly squeeze on to the seat next to him, all I can think is don’t annoy him, don’t offend him. Saying the wrong thing to a man this size could definitely ruin my day… and his. But actually, upon making eye contact, Margus’ face lights up with a welcoming smile that puts everyone around him at ease. Margus has spent nearly half of his life in the Estonian army – 14 years to be precise, and at 32 he shows a worldly maturity that often comes with Service. “Well…” he sighs. It feels like this is well worn story for Margus, as he goes through the motions of explaining how back in 2014 on a peacekeeping mission to the Central African Republic, he contracted a virus that affected his nervous system. So horrific was the virus, that Margus ended up in a wheelchair. It’s stunning to think of this hulk of a man as not having the strength to even lift his spoon. It took four months of intensive rehabilitation to get him able to take just a few steps again and even now, four years on, he is still not able to move as freely as he once did. Expecting to hear the regular responses of what pushes the competitors on their journey to recovery, I was surprised at his somewhat unusual answer. “I’m sorry, did you say dance? !” Although Margus has already belied his size with his gentle nature and warm smile, I still have to double check that between my hearing and his accent, I haven’t got this completely wrong. “Yes, dance. I love to dance.” He says. 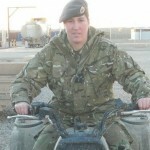 Completely straight faced. “What kind of dancing?” I ask. At this point, every cliché and bias about hard-looking Estonians had gone flying – at speed – out of the window. “Look, everyone needs a goal and my motivation was to dance again. This helps.” He gestures out toward the park, where hundreds of Serving and ex-Servicemen and women are warming up ahead of the cycling time trials. The young 32 year old is also the team captain. 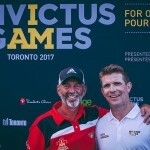 This is his third Invictus Games. “I see my role as captain as being about helping to support and motivate those around me.” Having spent the last 30 minutes with Margus, you can’t help but like the guy and it’s clear his teammates in the Estonian camp genuinely love him. If anyone is going to keep your spirits up, it’s this Rhumba dancing, jolly giant. It’s a powerful reminder, chatting with Margus, that everyone has their own reasons for being here. 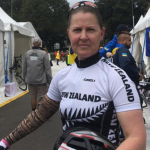 Whether it’s wanting to get fit enough to “play footie with my boy again”, as one Team UK competitor put it; “to give me a sense of purpose again”, as a Romanian cyclist explained or even to dance the Rhumba again. “Are you a dancer too?” I ask one of his pals as I make my way out. A confused scowl shoots back. I guess for him, it’s strictly Invictus Games.